the registration of a 'European Union trade mark' (EUTM) pursuant to applicable provisions contained in Regulation (EU) No. 2017/1001. This also includes international registrations designating the EU. Enforcement of trademark rights is possible by means of a lawsuit filed before the relevant court of first instance, known as the First Hall of the Civil Court. 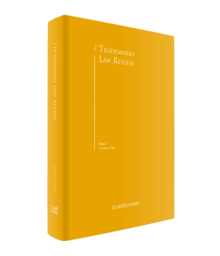 With regard to a national trademark, the lawsuit is filed pursuant to applicable provisions of law contained in the Trademarks Act, and remedies that can be requested include permanent injunction and damages. With regard to an EUTM, the lawsuit is also filed pursuant to provisions of law contained in the Trademarks Act (made applicable to EUTMs), and again, the remedies available include permanent injunction and damages. judgment of the court of first instance is subject to one appeal possibility, by means of an application (to be filed within 20 days of the judgment date) before the Court of Appeal in its civil jurisdiction. Legal Notice 233 of 2003 – Community Trademark Rules, 2003 (SL 416.02). the World Trade Organization (WTO), 1 January 1995. Regulation (EU) No. 608/2013 concerning customs enforcement of intellectual property rights and repealing Council Regulation (EC) No. 1383/2003. The office of the Comptroller of Industrial Property is responsible for the national trademark regime. The office of the Registrar of Companies is responsible for national company names. The Malta Internet Foundation, also known as NIC(Malta), within the office of the University of Malta, is responsible for the national .com.mt domain names. The legal basis for the protection of Malta-registered trademarks is that contained in the Trademarks Act. To qualify for registration, a trademark must be capable of being represented graphically and of distinguishing the goods or services of one undertaking from those of other undertakings. A trademark may be disqualified from registration on the basis of absolute grounds or on the basis of relative grounds. At the time of writing, the reforms contained in Directive (EU) No. 2015/2436 have not yet been implemented, including therefore, inter alia, the amended definition of a 'trademark'. Furthermore, there is no regulated system for opposition of a trademark during the application stage and, in the event that the office of the Comptroller of Industrial Property were to consider a trademark application as qualifying under the absolute and relative grounds tests, a certificate of registration would be issued and the registered trademark would be published in the Malta government gazette. A third party may, within the time limits established by law, file a court action for one or both of the following, depending on the circumstances: (1) invalidation of the trademark registration (on the basis of absolute or relative grounds); or (2) revocation of the trademark registration (e.g., on the basis of non-use of the registered mark for an uninterrupted period of five years in circumstances in which there are no valid reasons for the non-use). It is possible to register collective or certification marks. Traders shall not make use of any name, mark or distinctive device capable of creating confusion with any other name, mark or distinctive device lawfully used by others, even though such other name, mark or distinctive device be not registered in terms of the Trademarks Act, nor may they make use of any firm name or fictitious name capable of misleading others as to the real importance of the firm. (1) Any trader who contravenes any of the prohibitions contained in Article 32 . . . inclusively, shall, at the choice of the injured trader, be liable either to an action for damages and interest or to a penalty. The injured trader may, further, demand that everything done contrary to the said prohibitions be destroyed, or that any other remedy be applied capable, according to circumstances, of removing the act constituting the unlawful competition. (2) Any action for damages and interest brought under this Article shall be governed by the rules of the civil law. (3) The penalty, however, shall be fixed by the Civil Court, First Hall, or by the Court of Magistrates (Gozo) in its superior commercial jurisdiction at the suit of the injured trader, and shall not be less than four hundred and sixty-five euro and eighty-seven cents (€465.87) nor more than four thousand, six hundred and fifty-eight euro and seventy-five cents (€4,658.75), having regard to the seriousness of the fact, to its continuance, to the malice of the offending party and to all other particular circumstances of each case. Such penalty shall be paid to the injured trader in settlement of all his claims for damages and interest. Provided further that in applying paragraph (b), the Registrar shall have regard, inter alia, to the business or proposed business of the company, to the protection of the names of persons who are not connected in any way with the company, and, in the case of a private company, to the names of the members. The Office of the Comptroller of Industrial Property (the Office) will examine a trademark application with regard to the inherent registrability of the trademark (absolute grounds); for instance, if the trademark is considered exclusively descriptive in nature, it will be refused on absolute grounds, although the applicant will be provided with an opportunity to file submissions or amend the trademark application with a different version that may be considered registrable if the registration is limited to the distinctive manner of presentation (and with this limitation being a condition of the registration). The Office will additionally examine a trademark application with regard to prior rights in respect of the trademark (relative grounds). In practice, the Office will conduct a check of earlier trademark registrations and applications found in the Register of Trademarks of Malta and on the European Union Intellectual Property Office (EUIPO) trademark database, and if the trademark is considered too close to any earlier trademark registration or application, the applicant will be informed and provided with a period in which to obtain and present a letter of consent or alternatively to file submissions in relation to the requirement for production of a letter of consent. If, in the opinion of the Office, the applicant has failed to provide the letter of consent or has not provided acceptable reasons to justify non-production of the letter of consent, the trademark application will be refused. The Office is currently reviewing its practice with a view to doing away with a 'prior rights' examination on its part. Inter partes proceedings at application stage are not currently regulated, as the trademark application is under the exclusive scrutiny of the Office (until amendments to the law expected towards the end of the fourth quarter of 2018). This said, a practice has evolved whereby an applicant who becomes aware of an infringing trademark application is permitted to file submissions to the Office in an attempt to persuade the Office not to proceed with acceptance for registration. In the event of registration of a trademark on the Register of Trademarks of Malta, it is possible for an interested party to proceed judicially (within defined periods) with a request for a declaration of invalidation or revocation of the registered trademark on relative and or absolute grounds. The lawsuit is filed before the competent court of first instance, namely the First Hall of the Civil Court, and the registrant is allowed the right of reply. A contested lawsuit usually extends over a period of between one and three years at first instance, and a further three to four years before the Court of Appeal (in the event of an appeal being filed). b to the Court of Appeal (Superior Jurisdiction), in relation to any appeal against a judgment of the court of first instance in respect of trademark invalidation or trademark revocation proceedings. A dispute between an applicant or an interested party and the Office concerning a decision it has made is referred to the Court of Appeal in its Inferior Jurisdiction. a dispute between an injured party and a trademark infringer. An interlocutory, pretrial injunction is available either under general law (a warrant of prohibitory injunction) or under a specific law (Article 6 of the Enforcement of Intellectual Property Rights (Regulation) Act). Furthermore, the applicant may request measures aimed at preserving evidence. In each case, an application is filed with the court and, if acceded to, it needs to be followed by the filing of a lawsuit within a specific period. Pretrial discovery is available at the time the lawsuit is filed, or after. unfair competition (e.g., a lawsuit for damages and a permanent injunction as well as destruction of the infringing goods, as a result of an infringement of a registered or unregistered trademark, company name, trade name, business name, geographical indication or domain name). Pretrial proceedings are initiated by means of an application filed before the First Hall of the Civil Court, and at this stage an interlocutory injunction or a request for preservation of evidence, or both, may be requested. The adversarial party is given an opportunity of reply, and the Court may, or may not, fix one or more hearings, following which it makes a decision by decree. In the event that the Court accedes to a pretrial request, the applicant is obliged to follow up matters through the filing of a lawsuit within 31 days and, a lawsuit having been filed, discovery may be requested and the trial proper takes place, with each party presenting its own evidence and the Court issuing its judgment after the parties have filed written and verbal observations. These proceedings may take between one and three years in all. Following the judgment of the court of first instance, an appeal is possible by filing an application before the Court of Appeal in its Superior Jurisdiction within 20 days of the date of judgment. No new evidence may be produced before the Court of Appeal (save for exceptional circumstances), and the parties appear on average between one and three times before the Court of Appeal pronounces judgment. These proceedings may take between three and five years in all. The losing party is normally ordered by the Court to pay the winning party's judicial costs. The parties are each represented by locally qualified legal counsel. In the case of a non-resident litigant, legal counsel normally acts as the mandatary. a request for payment of all judicial costs. In the case of an unfair competition action, the court may be requested to impose a fine (of between €465.87 and €4,658.70) in lieu of damages. Anti-counterfeiting is often tackled through the intervention of Maltese Customs in applicable procedures available under Regulation (EU) No. 608/2013 concerning customs enforcement of intellectual property rights and repealing Council Regulation (EC) No. 1383/2003, and Malta's corresponding law, namely the Intellectual Property Rights (Cross-Border Measures) Act. In the event of suspect merchandise discovered in the course of checks on goods entering a customs point in Malta (including a free zone), Maltese Customs informs the right holder of a suspicion that the goods may involve an infringing act. If the right holder is a 'holder of an IP right', as recorded with Maltese Customs, and in circumstances in which the goods are counterfeit, the right holder is given the opportunity (at the discretion of Maltese Customs) of having the goods destroyed through the 'simplified procedure' (or 'standard procedure') within 10 working days of the date of notification of detention. Alternatively the right holder is required to file judicial proceedings within that same period, extendable once only (on good grounds shown to Maltese Customs) by a further period of 10 working days. In any such lawsuit (filed before the First Hall of the Civil Court against the declarant or the holder of the goods), the right holder typically requests a declaration of infringement, followed by a request for a court order of destruction of the goods and disposal of waste generated thereby, at the defendant's expense, and an order for all relevant costs to be borne by the defendant. In any such court case, a right of appeal to the Court of Appeal in its Superior Jurisdiction is available. Malta has been at the forefront in the battle against counterfeit goods, particularly in the case of counterfeit goods in transit, that is to say goods sent from a non-EU country, transiting Malta en route to another non-EU country. The plaintiff company, well known in connection to 'ARIEL' laundry detergent and washing powder products and owner of EUTM No. 000199976 'ARIEL' in respect of 'bleaching preparations and other substances for laundry use, cleaning, polishing, scouring and abrasive preparations, soaps', duly protected as a 'right holder' for the purposes of the relevant provisions contained in Regulation (EU) No. 608/2013, was officially notified that the Director General (Customs) of Malta suspended release of the container MAGU5339202 containing a quantity of packing and packaging material for laundry detergent and washing powder bearing ARIEL signs, as well as laundry detergent and washing powder (inside sacks). These goods all arrived at the Malta Customs Freeport Terminal during a transshipment procedure, sent by the first defendant, Yiwu Deshi Imp & Exp Co, and in transit for eventual release in favour of the second defendant Afaq Alhadatha Co. The Director General (Customs) informed the plaintiff company about this discovery in suspect circumstances, for the carrying out of opportune verifications regarding infringements of intellectual property rights. After having examined electronic photographs and samples of these goods, the plaintiff company confirmed to the Director General (Customs) that these were counterfeit goods. For his part, the Director General (Customs) passed on to the plaintiff company a copy of relative commercial documentation wherein Yiwu Deshi Imp & Exp Co, a foreign entity that conducted business in China, was indicated in the box relative to the shipper or consignor, whereas the consignee or importer was indicated as being Afaq Alhadatha Co, a foreign entity that conducted business in Libya. Judicial action was filed pursuant to Article 9(4) of Regulation (EU) No. 2017/1001 on the European Union trade mark, which provides that: 'the proprietor of that EU trade mark shall also be entitled to prevent all third parties from bringing goods, in the course of trade, into the Union without being released for free circulation there, where such goods, including packaging, come from third countries and bear without authorisation a trade mark which is identical to the EU trade mark registered in respect of such goods, or which cannot be distinguished in its essential aspects from that trade mark'. it ordered that the defendants pay all expenses, including those for the identification and tallying of the said goods, for their transportation to the storage facility location, for the storage itself, for transportation of the said goods from the storage facility location to the destruction facility location, for attendance during the destruction and for the disposal of waste generated by the said destruction; and with costs against the defendants. Various cases are pending before the First Hall of the Civil Court, particularly in relation to 'goods in transit'. As yet, Malta has not officially transposed the provisions of Directive (EU) No. 2015/2436, compliance with which is required by 14 January 2019. It is therefore expected that the relevant legislative changes will be in place by the end of 2018. Most notably, the new law should bring about a reintroduction of the trademark opposition procedure at application stage. Also of relevance is the fact that the new law should remove the requirement that a trademark must be capable of being represented graphically. 1 Luigi A Sansone is the sole owner and CEO of Salomone Sansone. 2 Case Ref. 458/2016MCH of 23 November 2016, in the names Advocate Doctor Luigi A Sansone LLB (Hons. ), LLD, as special mandatary of The Procter & Gamble Company, a foreign company incorporated in the State of Ohio in the United States of America with entity number 20677 and with an address of One Procter & Gamble Plaza, Cincinnati, Ohio, United States of America v. Dr Mark M Cutajar and PL Helen Valenzia nominated as appointed curators to represent Yiwu Deshi Imp. & Exp. Co., Ltd, a foreign entity with an unknown address, and Dr Joseph Ellis and PL Gillian Muscat nominated as appointed curators to represent Afaq Alhadatha Co., a foreign entity with an unknown address.